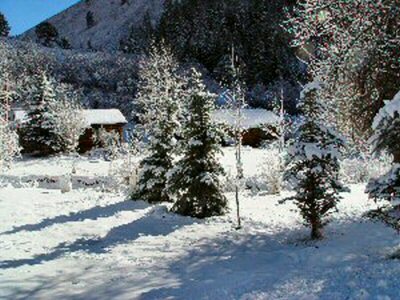 Taylor Creek Cabins "Cabin rental in Colorado on the Frying Pan River"
Looking for cabin rental in Colorado? Please contact us about our Taylor Creek Cabins. Also perfect for those seeking family accomodation if you are skiing Aspen and Snowmass. Just a short drive to 4 great ski mountains. And if Dad gets tired and wants a day fishing while the kids ski, fishing is right out the door. For the best deals in Hardy Fly Rods Hardy Fly Reels. For all your Colorado fishing needs. For san juan river fly fishing and south platte fly shop connections. We now offer south platte fly fishing through our new south platte fishing shop.So contact the South Platte Fly Shop for South Platte Fishing Reports. Frying Pan Anglers - your Colorado fishing headquarters for great san juan river fly fishing and south platte fly fishing.